“Same player shoots again” comes to mind. However, in this game all shots are always different. Never the same possibilities nor the same circumstances. So, one week after this fairly “expensive” day, we went out again, more or less in the same area. 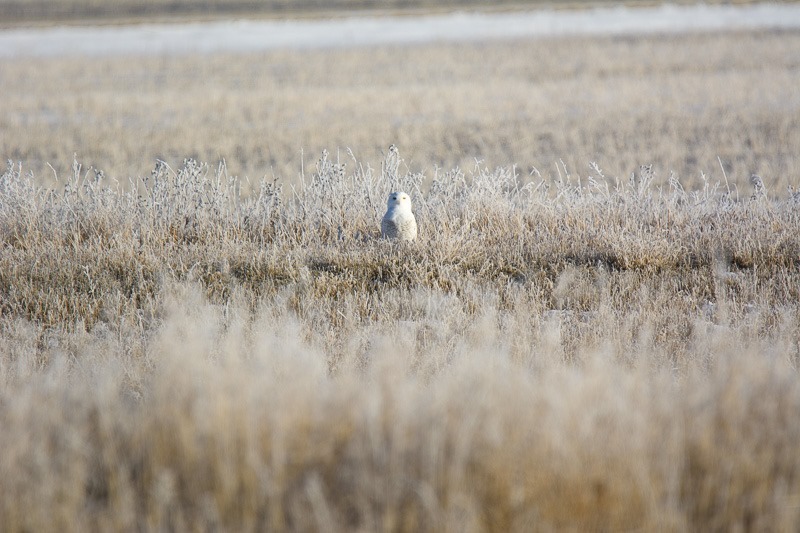 The area is renowned for Snowy Owls every year and sure enough we could see them from inside the car. As well as from far far away. 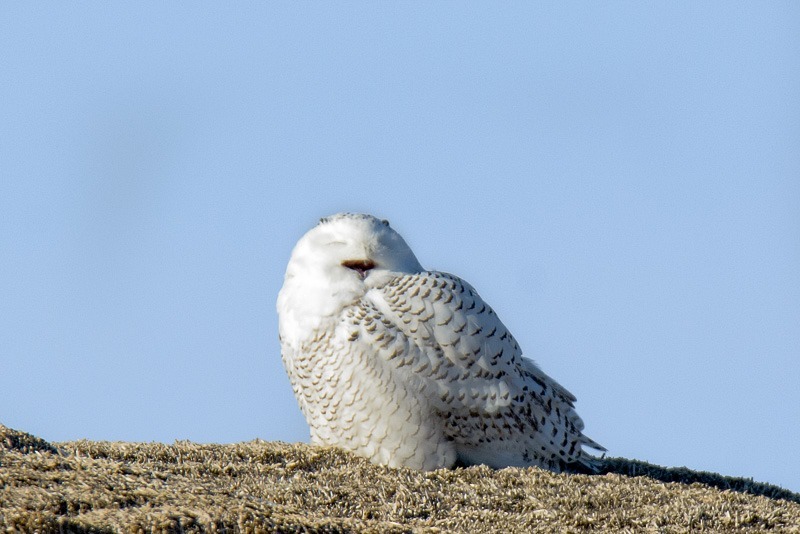 Snowy Owls, like many other owls, rely on their hearing first for hunting. Therefore you will not find them hunting close to a road. 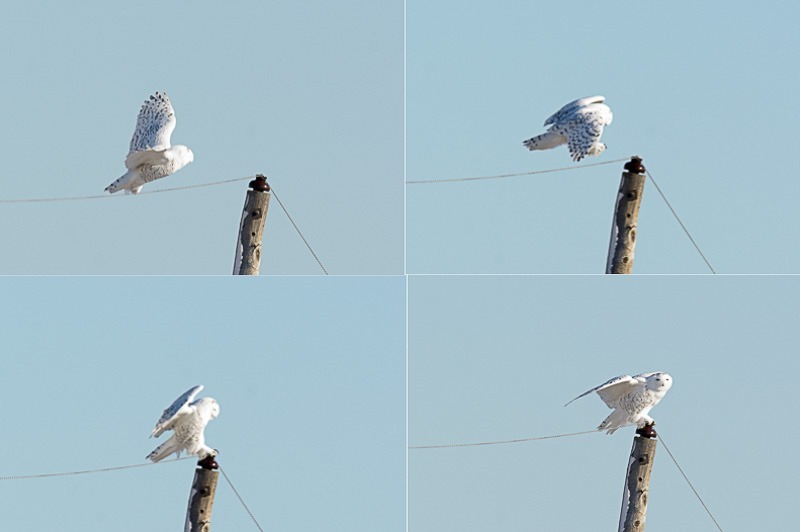 The above picture, taken with a 600mm lens (900mm if you insist in calculating the crop factor) shows how far away these birds often are. This one was about 150m away. Not close enough to hang around and shoot it from all sides. Walking up to them is a big no-no for me. After all, these birds are looking for food. I don’t qualify in that department so I’m a nuisance. 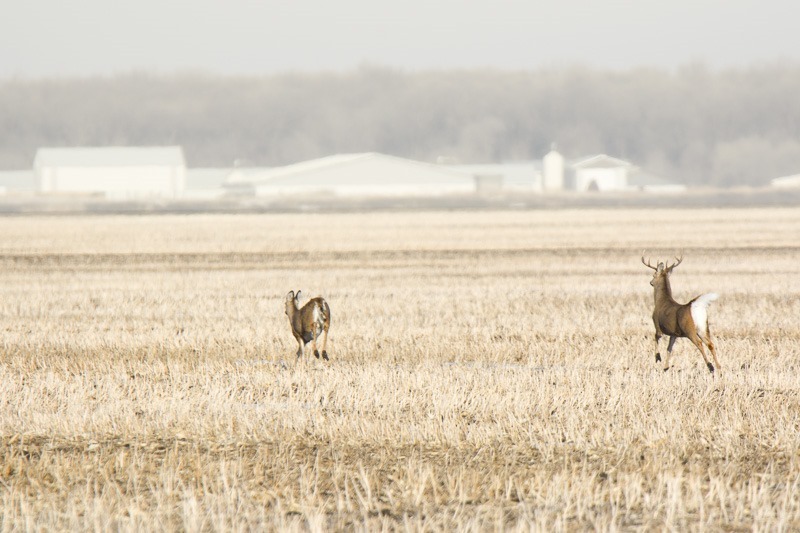 But their life depends on successful hunting. Mine depends on a supermarket, so no comparison. I stay out of their way. Many people tell me that if you get close to an owl (any owl) and it stays, you are still bothering it. I don’t agree with that. Those birds have wings and are excellent flyers. If they don’t like me up close, they fly away. But then indeed, that does mean I was too close. Also, if the bird does fly away and lands a few hundred feet down the road, I am not going to follow it and shoot it again. It made it clear that I was not welcome at that distance and I am not going to intrude again. Some photographers disagree and follow it to the bitter end. That is unethical to me. This one on the other hand seemed to have had a belly full of food and didn’t care at all if I was close (not too close) or not. Yawning is not a sign of stress to me. 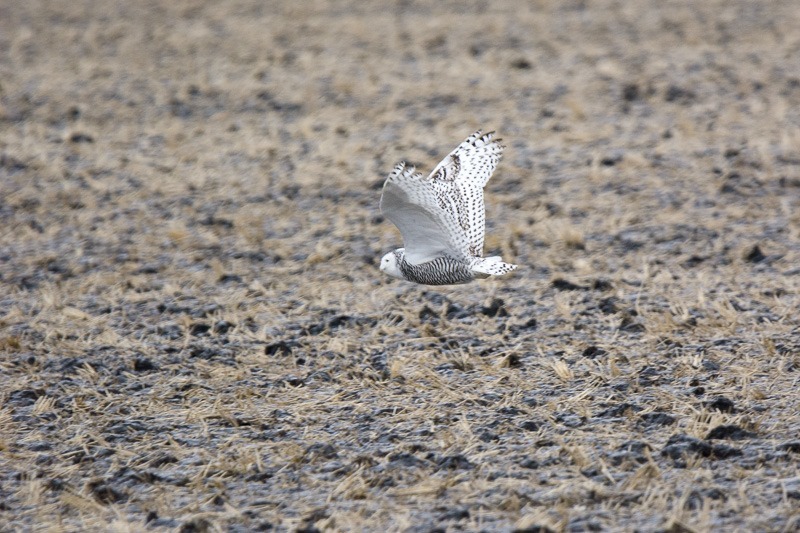 Anyway, we were about 50m away from the bird. So what to do when you don’t get the prize of the day? Well, photographers usually start shooting old buildings (less stressful), other critters or even landscapes. While I can’t always be shooting my favourite subject of the day, I always have some more in mind that I am looking for. If I find a couple of deer in a field, I am ready to shoot them too. Good thing they don’t hear me talking “shoot” as the hunting season was just closed and the deer were more than ever cautious of people. I shot a handful of pictures from behind the car, but when I moved in front of it, my silhouette was enough to make them bolt. Time for the smaller birds. The Common Redpoll about which I have blogged many times before (here, here and here) is now back in the province and can be seen in big flocks everywhere. 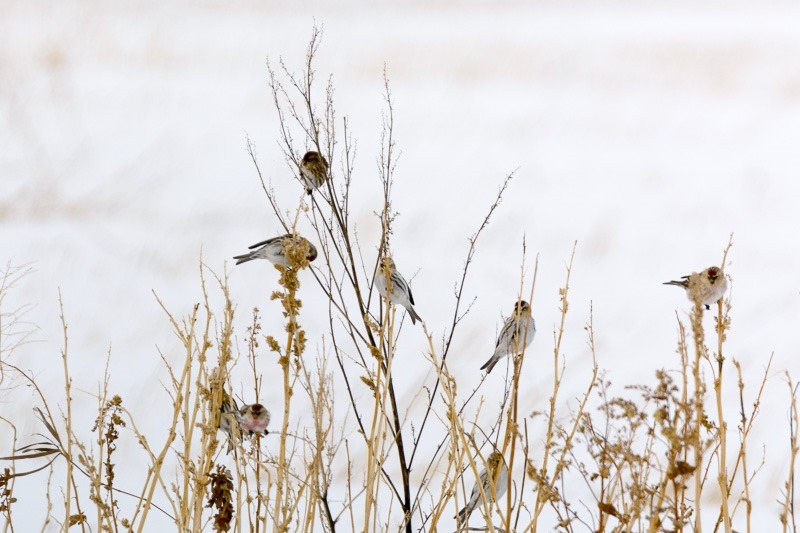 At first I thought they were a different kind of bird, but it turned out they were Redpolls. Then we really ran out of critters and all that was left was landscapes. Not even an old barn in sight. 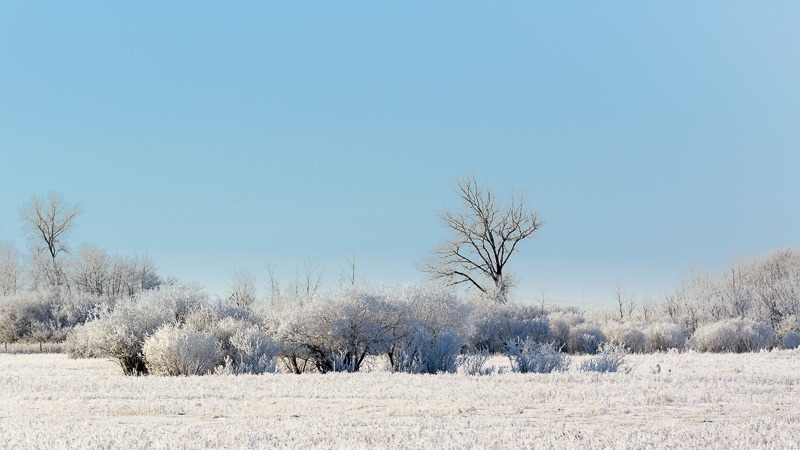 Hoarfrost is always a nice subject to shoot. The above shot is something I call “typical Manitoba”. 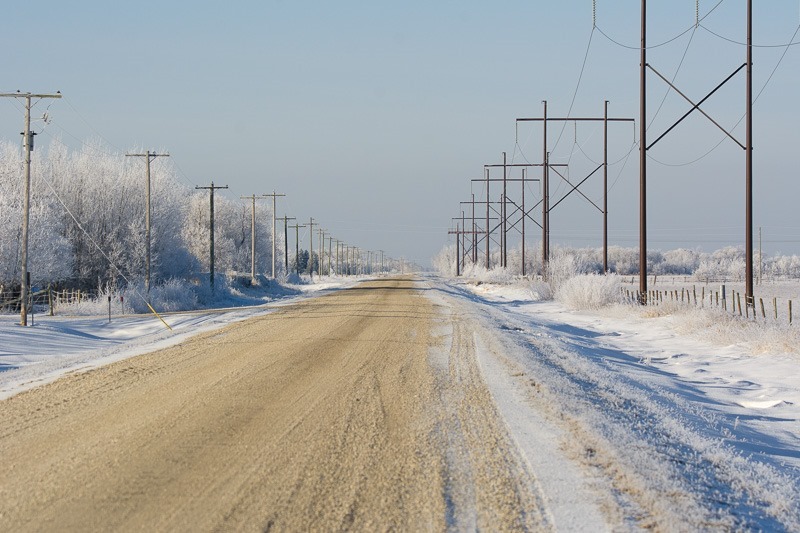 Hydro poles (Utility poles for us south of the border), an unpaved road (common here in Manitoba too) and white from snow, ice and hoarfrost. Then we decided to go home. All in all a better harvest than the previous week.